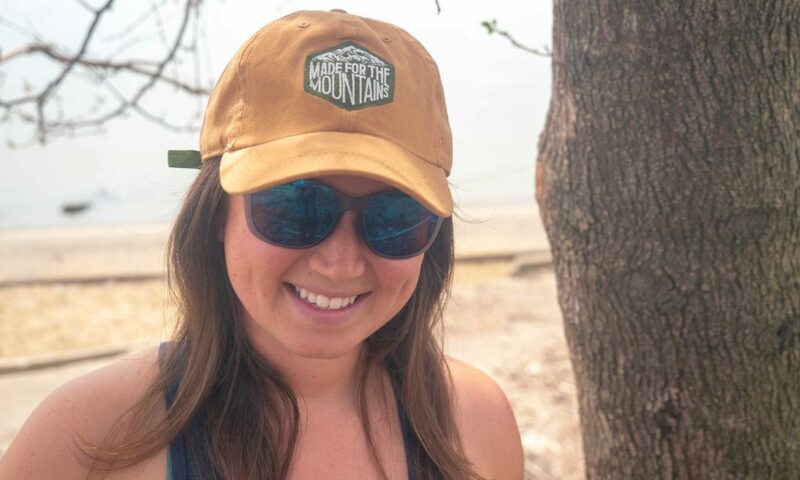 In honor of Earth Month, Roxy Harbitter, a member of the Elevation Outdoors Magazine Road Team, is starting a new series highlighting companies that are putting in the extra effort to get closer to carbon neutral. Welcome to Getting to Zero. Zeal is a small company based out of Boulder, Colorado, and a neighbors to Elevation Outdoors magazine. The brand is putting in the work to create a sustainable product that not only looks good but feel good, too. When speaking with Mike Lewis at Zeal, I was impressed with the brand’s sustainability efforts. 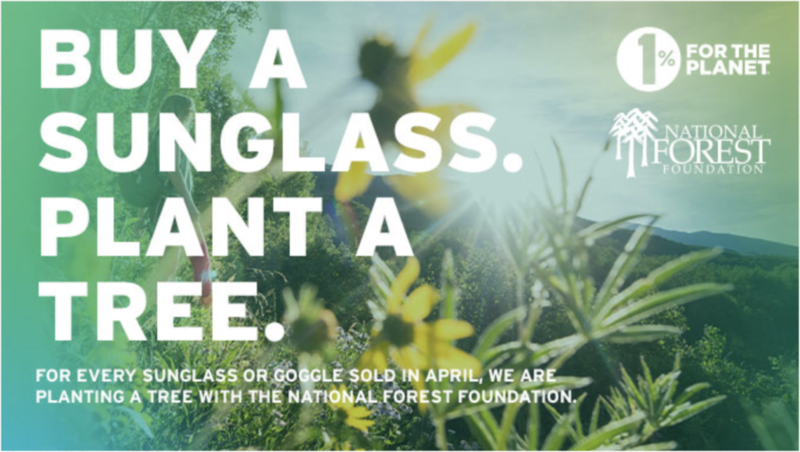 To celebrate Earth Month, Zeal is running a special campaign: For every pair of sunglasses purchased (directly from Zeal, or REI), a tree is planted. And, like most of the companies I will be highlighting, Zeal is part of the 1% For the Planet initiative. Happy Earth Month! All Zeal sunglasses are made from plant-based materials. It’s technology that is getting better every day, and hopefully will be incorporated into mainstream production. 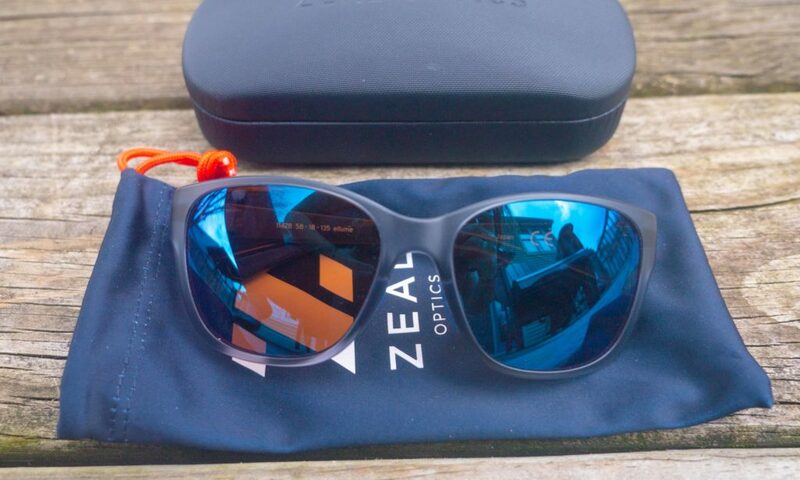 For now, Zeal is using bio-plastic to create a completely plant-based pair of sunglasses. The lenses are made from Ellume Bio-Plastic Lenses, which is formed from the castor plant, and creates an even clearer base for the lenses. The frames are made from Z-Resin Bio-Plastic, which creates less CO2 during the production process than normal plastics. Lewis informed me that neither material is hard to procure, and both are financially viable to switch to from traditional plastics. When making prescription lenses, Zeal has a unique system that recycles excess waste from the shaved down lenses. The excess material is turned into pellets and used in other products. This creates a zero-waste lab. When you order a pair of sunglasses, all packaging is post-consumer. Nothing wrapped in plastic here. A solid case with paper packaging. Zeal Sunglasses are built to last, but not sit in a dump. Zeal has a program where you can send back your gently used sunglasses (any pair from any company) and get 25 percent off another pair. Those sunglasses are then refurbished and donated to those in need. Currently, this is only offered in store. Zeal is a small company and Lewis, who worked for Transworld Business prior to Zeal, hopes to start with this nucleus of sustainability, and as Zeal grows, grow their efforts with the company. He is hoping the focus on carbon-neutral production attracts new employees with similar mindsets. Zeal is creating an awesome sustainable product, but just one. The brand’s goggles don’t use the same materials (they haven’t been able to find a bio-plastic that can stand up to the cold), and their parent company, Maui Jim, isn’t making as much effort to adopt carbon neutral practices as they are. Lewis also mentioned the lack of transparency in supply chains can be challenging. How can you be sure of the sustainable efforts of the companies you’re working with, and is it up to your company to take on those responsibilities? I brought the Zeal Magnolia Sunglasses with me on a road trip, intersected with hikes and adventures, from Colorado to Virginia. They’re light, comfortable to wear, and have sharp lenses that illuminate details. 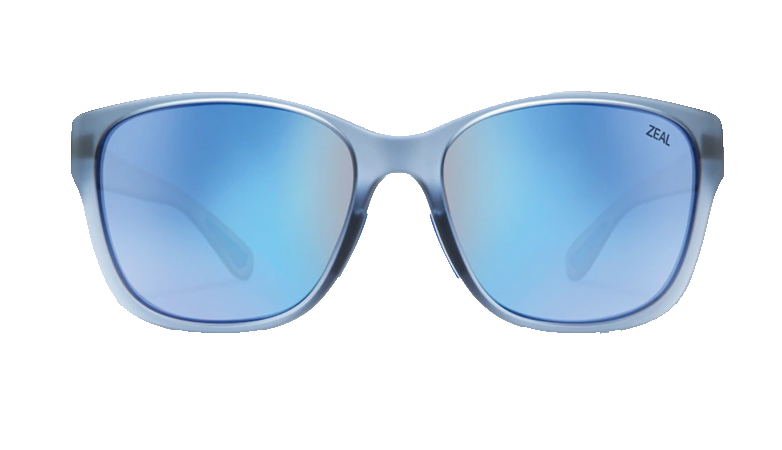 The Magnolia line is made out of Zeal’s new Z-Lite thin injection process, making an extremely light pair of sunglasses (less than an ounce). They inject their plant-based material with air to keep the flexibility and durability while cutting considerable weight and emitting less CO2 than traditional petroleum-based plastics. They have stickier areas on the nose and ear area that keep the glasses in place, even when sweating up a boulder field or looking down for footing. They have a six degree base curve, which makes the shaded area of your eyes larger. Most fashion shades are closer to four or five base curve, while performance glasses (think sweet cycling glasses) are at an eight or nine. All in all, these sunglasses work in all the right ways. They’re light, they stay on when you need them to, they protect your eyes, and they look good while doing it. My only complaint would be the curve of the sunglass. While it’s beneficial for protection during extreme sports, while you’re wearing them casually, it can be distracting and feel a little too ‘sporty’. 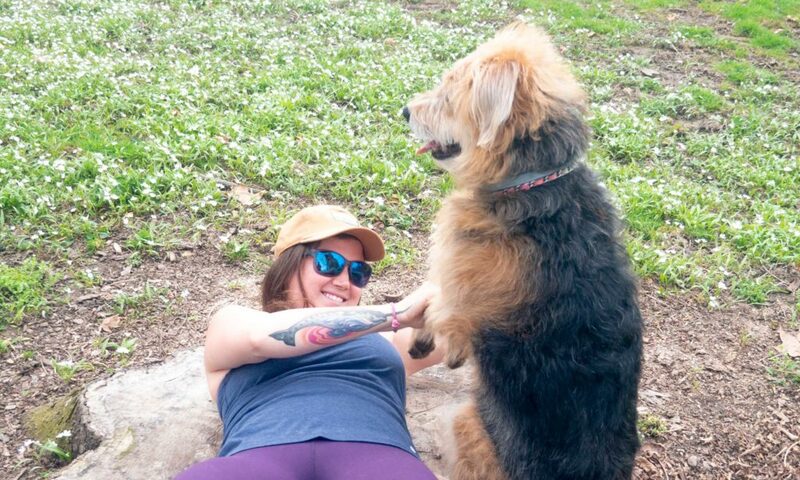 Roxy lives in a van full time and travels around the country writing and photographing for Elevation Outdoors Magazine and Blue Ridge Outdoors Magazine. 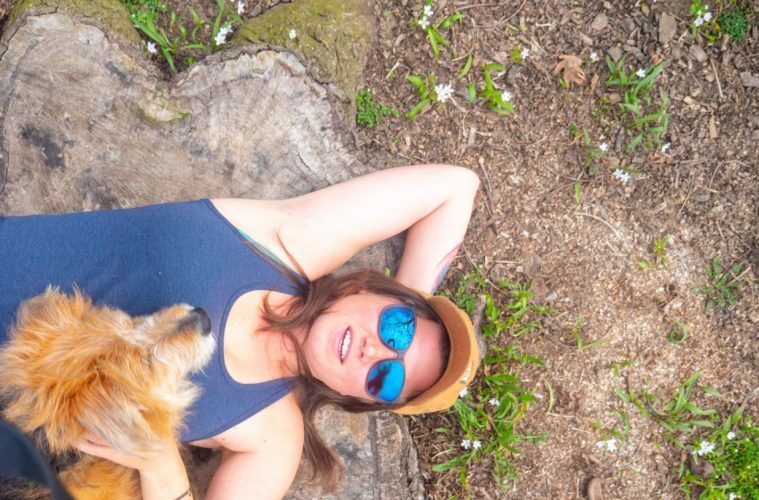 She is working toward #plasticfree, #zerowaste and getting to carbon neutral while living gentl on the road. She is trying to make a small impact on the world, and a larger one in the communities around her.